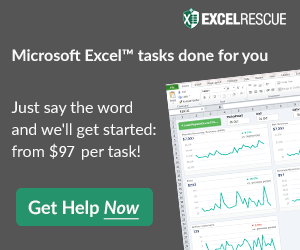 This is your one-stop-shop for everything Excel Dashboard Related. Tutorials, Free Templates, Formula and Chart Resources will be provided so that you can develop your Executive Dashboard. Visit often to learn how all the newest content to design and build your Excel Spreadsheet. If you have any suggestions for content, please leave a comment on any posting. I will be sent an email directly with your contact information so that I can get in touch. Also, please sign up for my email list so that you are sure to get the most current Excel Dashboard Templates.